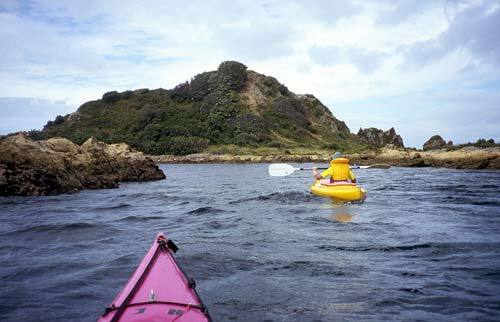 Canoeists paddle towards Taputeranga Island, off Wellington’s south coast. In August 2008 the Taputeranga Marine Reserve (854 hectares) was established around the island. Thanks for your comment Janet. As far as I can ascertain, there were plans to call it the Kupe/Kevin Smith Marine Reserve, but by the time it opened it was once again being called the Taputeranga Marine Reserve. It would be interesting to know why it was changed back. As I understand it, this is out of date. By the time the reserve was finally approved, its first proposed name, 'Taputeranga Marine Reserve' was replaced. It is now the 'Kupe/Kevin Smith Marine Reserve' in dual recognition of Polynesian navigator Kupe and of the contributions to New Zealand's environment of the late conservationist Kevin Smith.